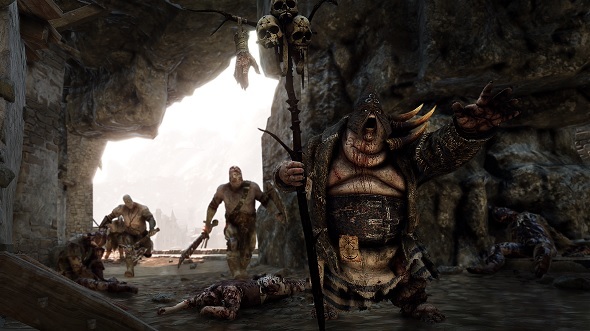 The latest Warhammer: Vermintide 2 patch version 1.0.1 has landed with Twitch mode as well as new fixes and balance tweaks. Warhammer: Vermintide 2 has arrived, and series fans are now able to spill blood and viscera to their hearts' content. Despite being a fresh release, Vermintide 2 has been functioning in some form or another for months, which has given the team at developer Fatshark a head start on game elements that may need fixing or balancing. As such, the latest game patch version 1.0.1 has dropped just earlier today, and in it players will find a number of bug fixes, balances, and a new option for the game's social-friendly Twitch mode. Among the biggest changes in patch version 1.0.1 are new bug fixes: Fatshark has addressed the issue where knockdown bleed would persist even after being revived, as well as a sound looping issue at the mission ending screen. The team has also fixed an issue resulting in too many Grimoires on the Fort Brachsenbrucke level, as well as another vague issue dealing with malfunctioning hat icons. In addition to these bug fixes, Fatshark has also enabled the hopefully now properly functioning Twitch game mode. Players interested in learning more about the game's Twitch functionality are being directed to the official Fatshark Games forum post for the Vermintide 2 patch notes, but there are more details to be found over on the Vermintide subreddit. Essentially, Twitch Mode allows players to interact with their Twitch viewers and also allows for the trading of items, the spawning of enemies, and other social-focused interactions. Lastly, the Vermintide 2 patch version 1.0.1 introduces a number of balance tweaks: the cooldown of both the Resourceful Sharpshooter and Resourceful Combatant abilities have been reduced from 5% to 2%, and the Hand of Shallya healing potency when using a First Aid Kit on an ally has been reduced from a general 80% to 35% of the character's missing health. Keep on top of the latest Fatshark release by checking out our ever-expanding Warhammer: Vermintide 2 homepage.